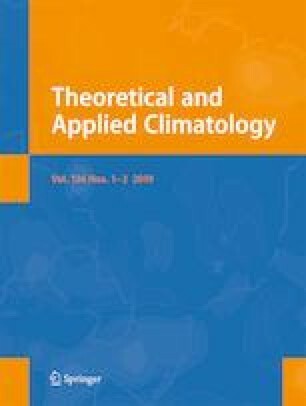 Knowledge of past climatic variability for the Tibetan Plateau (TP), especially the northwestern part of it, is still limited due to the lack of long-term meteorological records. Within this study, we developed a summer (June–July) minimum temperature reconstruction since 1681 based on annual tree-ring width of Schrenk’s spruce (Picea schrenkiana Fisch. et Mey.) from a humid timberline on the western Kunlun Mountains. Our reconstruction passed the statistical calibration and validation tests, and accounted for 37.69% of the variance for the instrumental record during the period 1960–1996. The reconstruction mainly exhibited annual to decadal temperature variability, with cold periods in 1694–1696, 1745–1749, 1823–1824, and 1915–1921, and warm periods in 1755–1760, 1795–1799, and 1894–1896. Spatial correlations and comparisons with the Asia summer temperature reconstructions further verified our temperature reconstruction and its capability to serve as a proxy for large-scale temperature variability on the northwestern TP. Our results clearly indicate the great potential to perform dendrochronological studies on the western Kunlun Mountains. The online version of this article ( https://doi.org/10.1007/s00704-019-02849-1) contains supplementary material, which is available to authorized users. Thanks are given to the Editor and anonymous reviewers for helpful comments and suggestions. We also deeply appreciate Prof. Tianjun Zhou (LASG, IAPCAS, China) and Prof. Sergio Rossi (UQAC, Canada) for helpful discussions and suggestions. This work was funded by the National Natural Science Foundation of China (No. 41571201 and 41771240), West Light Foundation of the Chinese Academy of Sciences to Haifeng Zhu, and CAS Special Project on International Cooperation along the Belt and Road Initiative (No. 131C11KYSB20160061). Ru Huang is grateful for the support from the UCAS Joint PhD Training Program (UCAS22).